2400 watt Automatic Voltage Regulation (AVR) system in convenient 3U 19 inch rackmount configuration. Protects sensitive electronics, computer accessories and home theater equipment from power-related damage and performance problems. Extends the useful life of connected equipment by providing optimum voltage conditions for enhanced efficiency and cooler internal operating temperatures. Reliable transformer-based voltage correction circuits maintain 120V nominal output during voltage fluctuations between 89 and 147V. Three levels of voltage stabilization offer targeted response for overvoltages, undervoltages and severe brownouts. Prevents equipment damage and power related performance problems for computer accessories, printers, home theater equipment, a/v components and other sensitive electronic devices. Network-grade AC surge and EMI/RFI noise suppression. Supports loads up to 2400 watts, 20A. 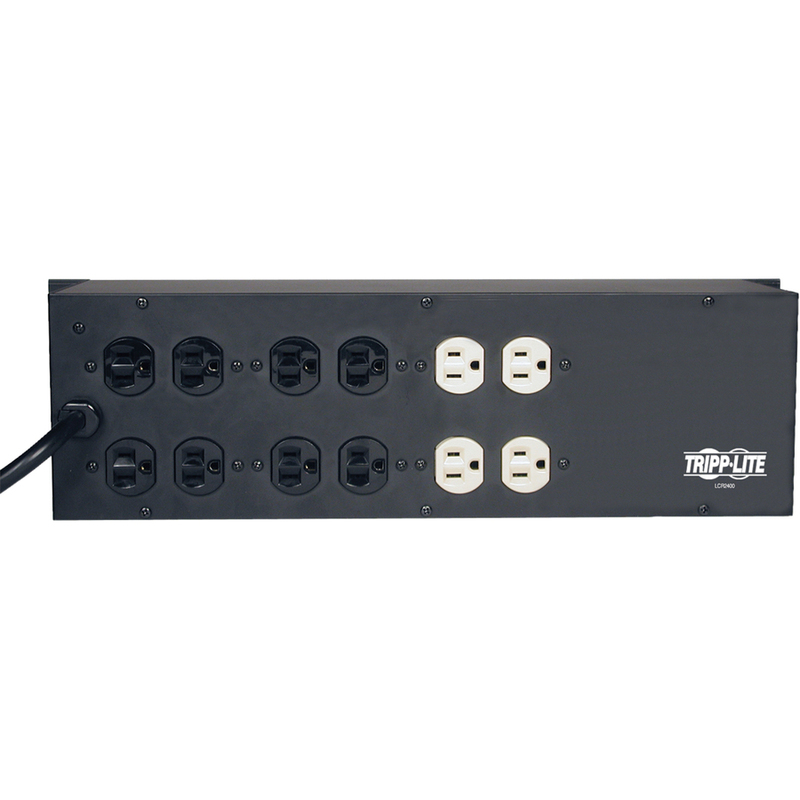 Includes 14 AC outlets arranged in two separately filtered banks, 12 ft AC line cord and 7 diagnostic LEDs which display incoming voltage level, surge suppression and line status. 2 year warranty. $25,000 connected equipment insurance (USA & Canada only). Maintains regulated output voltage during severe brownouts and overvoltages for computer accessories, printers, home theater equipment, a/v components, sound reinforcement, point-of-sale equipment, and other applications requiring clean, regulated AC power.